You are here: Home / Things to do / Wine / Fine festive wines. Cheers! The seasonal festivities are the perfect way to ring out the old year and ring in the new with family and friends. For many they also represent an opportunity to hit the pause button and take a well-deserved time-out. Good food and wine assume greater importance at this traditional time of year and add a special flavour in every sense to the occasion. When it comes to choosing wines for the festive season the best advice is to look for classic cuvées from the classic regions of Europe. They not only make an excellent match for the seasonal fare, but also provide a taste sensation that lingers on the palate and reward the extra time you have to spare. Here is a selection of ten great wines that are not to be rushed and will add a genuine lift to your celebrations. Nothing beats Champagne to get the party started. Made from equal parts of Chardonnay, Pinot Noir and Pinot Meunier this fine wine from one of the great Champagne houses is rich and fruity, biscuity and nutty. Perfect as an aperitif or served with smoked salmon and seafood starters. The Spanish style of sparkling wines brings a decidedly Mediterranean touch by using local varieties such as Macabeu, Xarel-lo and Parellada. This Penedes producer recently left the Cava appellation so he could make wines with greater richness and more character. The proof of this particular pudding is in the drinking. Serve as an aperitif or with simple, delicate seafood dishes. Whatever prejudices you may have about the Riesling grape this distinctive expression of the variety will stop you in your tracks. A truly dry wine, it offers an intense combination of citrus, floral and mineral notes with an invigorating finish. Enjoy on its own or with salmon tartare and prawn cocktail. Of the several grape varieties that distinguish the Valais region, Petite Arvine rightly gains much of the attention. This elegant, intense and complex dry wine might make you wonder why this grape is only really grown in this canton. The pronounced citrus aromas with hints of honey, the distinctive mineral saltiness and the oaky finish pair beautifully with rich saltwater fish like sole and sea bass as well as escalope de foie gras and vacherin fribourgeois. For lovers of full-bodied Chardonnay it does not get much better than this in terms of value-for-money. The wine’s ripe citrus flavours combine with roasted nuts and toasty oak leading to a tantalizingly long finish. A great match for salmon, chicken and veal dishes served with creamy, garlic or lemon flavoured sauces, not to mention roast turkey with all the trimmings. In this impressive wine richness and elegance come together. From the heart of Tuscany it blends mouthwatering autumn fruit flavours with complex notes of leather and tobacco and a wonderfully sensual finish. Fabulous with chicken liver terrine, steak tartare, roast beef and magret de canard. The Blauburgunder variety (otherwise known as Pinot Noir) thrives in the Grisons near the border with Lichtenstein. This wine is not only a faithful rendition of this elegant variety, but also remarkably good value. It delivers intense red cherry aromas and spicy, slightly oaky notes on the palate. Enjoy with viande séchée, roast chicken and turkey, filet of pork with sage and mushroom dishes. This predominantly Malbec blend comes from the cooler climate of Patagonia in the south of the country. The result is a zesty and vibrant wine. Black cherries and wild strawberries on the nose and powerful meaty, spicy flavours on the palate lead to a lengthy, juicy finish. Serve with entrecôte steak, braised shoulder of lamb, roast pork and meatloaf. Switzerland harbours many secrets and none more so than the delicious dessert wines produced in the Valais. Here the Pinot Gris variety masquerades as Malvoisie. The grapes are left to dry on the vine to produce a rich and classy sweet wine. Super-ripe raisins, pears quince and caramel characterise the aromas and flavours. Served chilled this makes a magical match with terrine of foie gras, blue cheese, fruit crumble and chocolate desserts. Aged Tawny Port is the style most enjoyed by the producers themselves. Matured in oak for an average of 10 years this Port is light and fresh with a spicy, floral nose, sweet dried fruits on the palate and a nutty finish of toffee and orange zest. 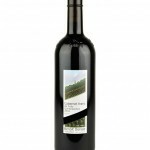 Best served slightly chilled with Stilton and nutty cheese, desserts such as apple pie, tarte tatin and baked figs and even chocolate (40% to 50% cocoa solids). Simon Hardy holds the WSET Diploma in Wines & Spirits. He is the founder of Fitting Wines, which provides a range of personalised wine services in Switzerland. For more information or help with sourcing any of these wines please contact him at www.fittingwines.com.